GOLLLAZZZOOOOOOOO! It’s Sunday morning in a sleepy rural village in the middle of Northern Ireland. It’s 1994. Football Italia is on the TV. The footballing eyes of a young Nottingham Forest fans are lighting up. And so began a love affair that continues to this day, almost 25 years later. 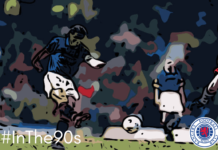 It was all about Roberto Baggio, Giuseppe Signori and Gianfranco Zola for the Italians, but for 10-year-old me, it was the young, mature-beyond-their-years duo of Gabriel Batistuta and Rui Costa that changed the way I looked at football. Led by Claudio Ranieri, of Chelsea and Leicester City title-winning fame, La Viola had just returned to Serie A after a year in the second tier. 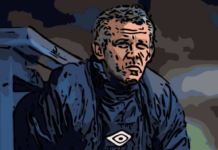 He brought in Portuguese playmaker Rui Costa and Brazilian World Cup winner Marcio Santos, ready for another bite at the Scudetto. I clearly got my timing spot on as a new viewer to the James Richardson-hosted highlights show as, in a period of four Sundays, Fiorentina recorded 4-1, 4-2, 2-0 and 5-2 triumphs. I was enamoured, not only with the squad but even more so with Batigol, who went on to finish the season as the league’s top scorer with 26 goals. Within two years, I had my first Batistuta jersey. As my classmates went parading around the village in their Manchester United, Arsenal and Liverpool shirts, I was interchanging my beloved Nottingham Forest one for that of Argentina’s finest export. As the seasons passed my love for the team grew and the classroom rivalries grew, none more so than when Giovanni Trapattoni’s Fiorentina qualified for the Champions League and defeated both Manchester United and Arsenal. Only then did my fellow teenagers sit up and take note of the best league in football. Don’t get me wrong, I loved the Premiership, but Serie A in the late 90s was something else. It was special. 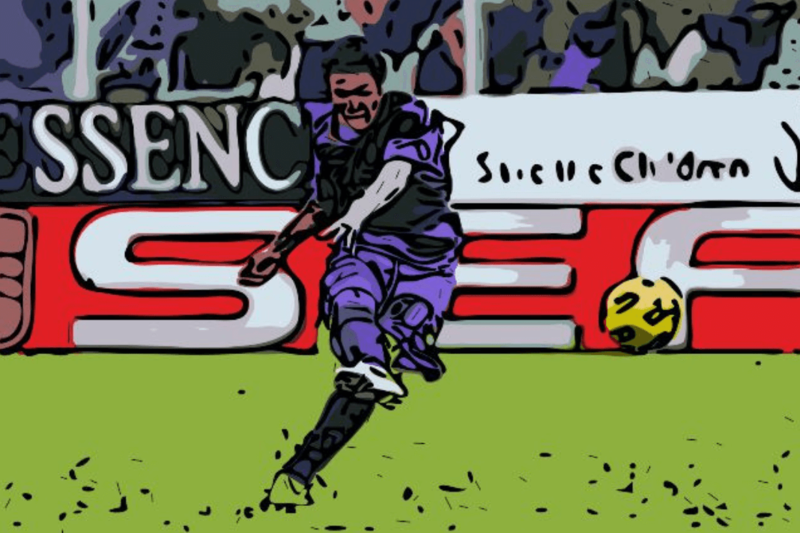 Unfortunately, from the highs of European football, a dark period began for the Stadio Artemio Franchi side. First, they suffered relegation to Serie B, before they were eventually bankrupted as the full state of the club’s finances were laid bare. Expelled from Serie B, the club ceased to exist. I was distraught. Shoe and leather entrepreneur Diego Della Valle thankfully resurrected the club as ACF Fiorentina and although the likes of Batistuta, Francesco Toldo and Enrico Chiesa had long been sold on, my love for the club was reignited as they began life in Serie C2 in 2002. A long, five-year struggle began. Not only for Fiorentina working their way back up the leagues but for me in searching for results on a weekly basis. BBC had started including small round-ups of the top European leagues, but for Serie B and below it was necessary to search the darkest embers of the internet just to know if we had won, drawn or lost. At times my parents would ask why, but deep down, they knew, this was my team. I wasn’t abandoning them. Fiorentina returned to European football in the 2007/08 season and despite dropping into the UEFA Cup from the Champions League, I managed to secure my first trip to see them – the quarter-final second leg against Everton at Goodison Park. Having won the first leg in Italy 2-0 I was fairly confident as I sat in the Lower Gwladys Stand but goals from Andrew Johnson and Mikel Arteta made for a nerve-shredding evening. I feared for my existence sat among the Toffees’ fans as Fiorentina kept their bottle, Sebastien Frey the hero in a 4-2 penalty shootout triumph. The need to celebrate was real, but the threat to my life was even more so. Cue arriving back to the car on Merseyside and the screams of delight once I had driven a safe distance from the stadium. The ecstasy of finally seeing my team for the first time was fantastic but it left me yearning for more. And so, after 14 years of support, a trip to Italy was booked with my dad. Champions League football. Bayern Munich. It would prove to only cement my support. My dad had been there and done it all as a football fan, travelling Europe with the mighty Reds as we won the European Cup in 1979 and 1980. For me, I was going home, but for the first time – finalmente, sono a casa. In the build-up to the match, there weren’t pubs around the ground, just paninotecas – sandwich bars which happen to serve alcohol. My dad and I took a seat outside, a Peroni in hand and with an hour to go until kick-off, the tifosi start to arrive. Before long a group of eight men, carrying crowbars, sit at the table next to us. Growing anxious by the intimidating nature of the Ultras Viola, my dad reassured me they wouldn’t be seeking an English speaking 24-year-old who was wearing a 1996 edition Fiorentina jersey with Batistuta’s name on the back. A nod of yes, certo, rang around as I feared a bashing with a negative “non lo voglio fare” – I don’t want to do it. After explaining my love for the club, we were soon on our way into the stadium, where the cultural differences continued. A brief panic ensued when we were asked for our passports, which were back in the hotel room, but we were granted entry. Arriving at the bar, we were shocked to hear “solo senza alchol” – the beer was alcohol-free. Two espressos later, it was time to find our seats. The next dilemma. There were no seats. Only concrete blocks forming the tiers and no numbers to be seen in the rows, apart from the A-Z on the steps up. On enquiry, the steward explained, sit anywhere. We promptly took our seats and I soaked in the view. A stadium full of purple. I was home. An array of flags and scarves were bustling on a warm evening in Florence and I couldn’t have been happier. Then the all-too-familiar Champions League music was playing and the goosebumps, emerged, just as the teams arrived onto the pitch. I was excited to see an Adrian Mutu-led side go up against Bastian Schweinsteiger’s in-form Bayern Munich, but my hopes were not high after a 3-0 tonking in Germany just two weeks earlier. Just ten minutes were on the clock when Mutu did what I had been dreaming of in the nights before the match. Getting between the defence he volleyed home a stunning strike to put Fiorentina 1-0 up on the night, Alberto Gilardino heading the ball into his path. The crowd went wild. I was engulfed by the surrounding fans and I was a part of the tifosi at last. It was incredible. As the game went on Bayern grew into the game, as Mutu, Gilardino and Riccardo Montolivo spurning several chances to extend the lead. Ultimately, we paid the price when Franck Ribery cut the ball through the defence for Tim Borowski to coolly slot home. Neither side could find a winner but it didn’t dampen spirits. Fiorentina at home. Part of the team. Mutu had scored. Nothing was wiping this smile away. We ended up in a bar in the centre of Florence that night, explaining time and again how we had come to support Fiorentina. Italians cheered for Robin Hood at the mention of Nottingham but relived fondly the memories of John McGovern and Trevor Francis leading the Reds to European glory as my dad told his tales. It was the perfect trip, despite the draw meaning Fiorentina could no longer progress to the knockout stages. Back in the Champions League the following season, Stefan Jovetic came to the fore with a dazzling display as Liverpool were stunned 2-0, the Montenegrin grabbing both goals in Florence. By the time Fiorentina arrived at Anfield on matchday six, the Italian side had already qualified, while Liverpool needed a victory to have any hope of progressing. With my ticket bought I took my seat – an actual seat – in the Kop for what proved to be an electrifying, yet terrifying 90 minutes. The atmosphere as Liverpool walked out to You’ll Never Walk Alone was second to none. I’d seen nothing like it before, nor since, and when Yossi Benayoun put the Reds ahead those around me went wild. I had to feign celebration to avoid getting my head knocked in. When Lars Martin Jorgensen levelled I had to stay quiet and when Gilardino popped up in the 87th minute I thought I would explode. How I didn’t celebrate the turnaround I still cannot say. Devastation for Liverpool. Pure delight for me. I stayed on another 20 minutes to watch the players celebrate the 2-1 win with the away end, who were returning to Italy as group winners. 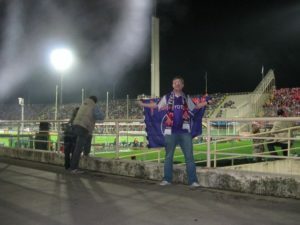 I’ve since seen Fiorentina numerous times living in Italy but that night in Florence ten years ago will forever remain a highlight. It was when I had my initiation with the Ultras and became a part of the family. Turbulent times of late have seen Fiorentina return to mid-table but I’m sure it’s only a matter of time before the glory days return.